Superior deeply exfoliating and skin renewing treatment. 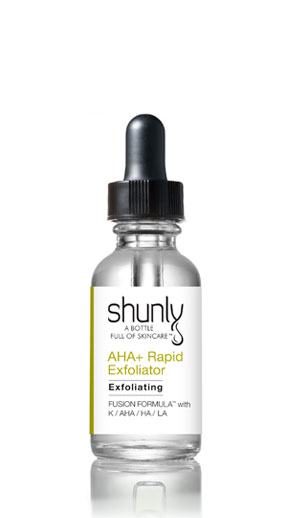 No more scrubbing to exfoliate sensitive, rosacea and acne prone skin. This superior night time Dermal Renewal Serum functions to retexture the skin’s outer surface resulting in cellular activation and renewal. 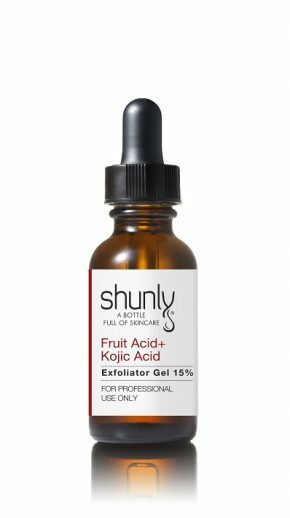 A mixture of naturally occurring Alpha Hydroxy Acids (AHA’s), Lactic Acid, and Glycolic Acid, combined with botanical extracts of Kombucha provide resurfacing, cellular renewal, and maximum hydrating properties to promote skin health and improve skin elasticity. This oil-free cell activation gel will exfoliate, hydrate, renew, and retexture the skin’s fabric. Hyaluronic Acid boosts hydration levels to keep skin moist, plumped, firm, and hydrated. Use in evening. Apply 5 to 7 drops onto cleansed and toned face, neck, and décolleté. Gently smooth and massage into the skin until fully absorbed. Follow with moisturizer and L-AA+ Instant Eye Gel or Q+ Bio Eye Cream. Water/Aqua/Eau, Hydroxyethylpiperazine Ethane Sulfonic Acid, Hydroxyethyl Urea, Butylene Glycol, Kombucha (mushroom) Extract, Black Tea Ferment, Lactic Acid, Glycolic Acid, Saccharum Officinarum (Sugar Cane) Extract, Vaccinium Myrtillus (Bilberry) Extract, Citrus Aurantium Dulcis (Orange) Fruit Extract, Acer Saccharum (Sugar Maple) Extract, Citrus Medica Limonium (Lemon) Fruit Extract, Glycerol, Zinc Sulfate, Algae extract, Pullulan, Triethanolamine, Phenoxyethanol, Hyaluronic Acid. a long time. I will definitely keep this product in my nightly routine. All of Shunly products are outstanding. Nothing compares period. This exfoliates my skin and add moisture with a natural glow. I have always had dry skin but since I have been using all of Shunly’s products there has been a dramatic difference! These are fantastic! I don’t even have to use a moisturizer anymore after using this product. My skin is in the best shape at 32 thanks to all of these products. 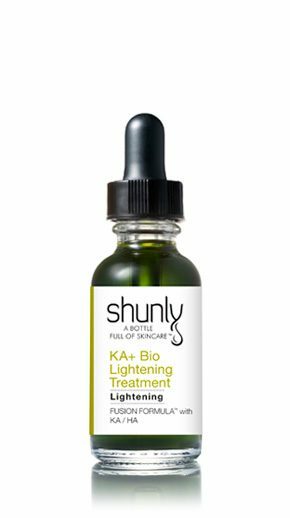 This product has given my skin a glow I haven’t had for a decade. This exfoliates and hydrates as well. love this product ! I have been using this product for a year now. Definitely see a difference in my skin. My daughters are even using the product now. I use this twice weekly to exfoliate and I love it! I just submitted an online vote for best product under serums. 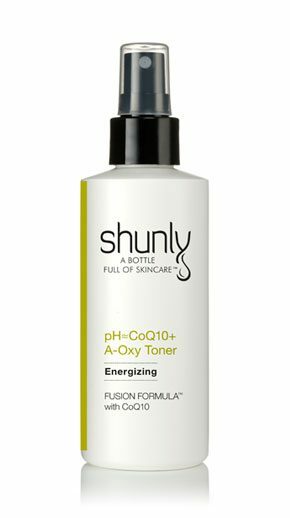 Keep up the great product line ShunLy!